As we should have expected (but forgot), the retail booklets with security-printed backing paper have been allocated new whole numbers in the new 2016 edition of Stanley Gibbons' Great Britain Concise catalogue. I have renumbered the entries in our webshop, with the previously allocated number in brackets at the end of the title. Note that for correct sorting, I show 'RB5' as 'RB 5' - so that RB 9 comes before RB10, so if you are searching for a booklet by number, remember the space. 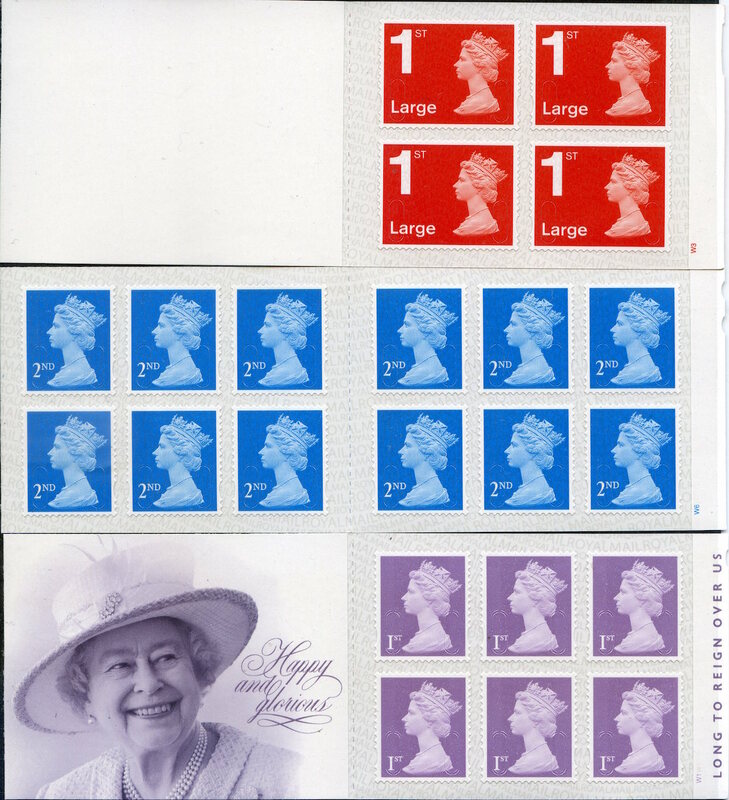 The next scheduled booklet issues are on 28 July when Beatrix Potter mixed booklet of 6 (with purple stamps), and the 6 x 1st red with new corporate logo will be issued. 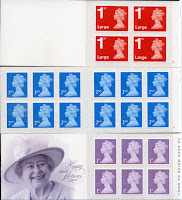 In October there will be 6 and 12 x 1st, 12 x 2nd, and 4 x 1st & 2nd Large - all these will have new numbers in Gibbons Concise, so the printings of the recent ones may not be large.